Welcome to Ruma rua tekau ma rima: A truly HAIR RAISING FUNDRAISER!!!!! A truly HAIR RAISING FUNDRAISER!!!!! What a CRAZY but EXCELLENT day!!! 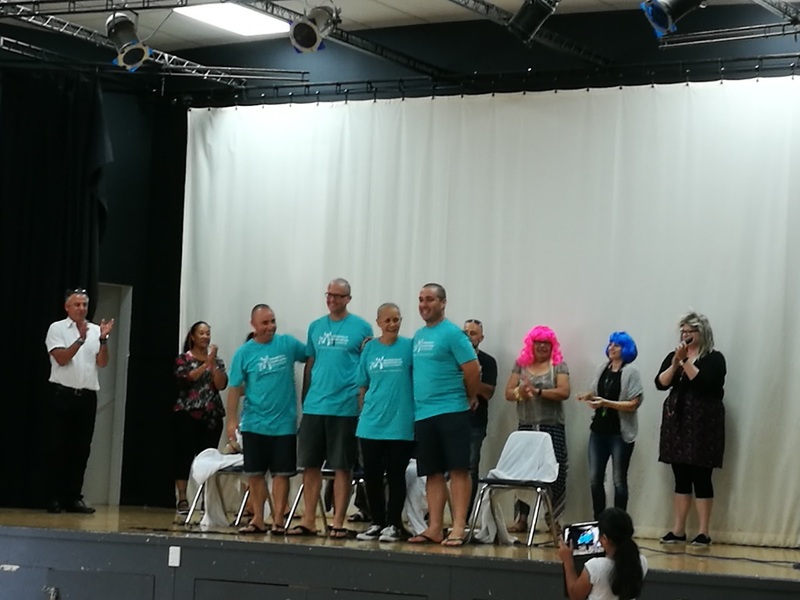 The reason for this very special day was to support the Shave for Cure fundraising event. Students and staff kindly donated a gold coin/s, raising over $600. Four very special teachers went the extra mile today and shaved their hair in order to raise more money for this very worthy cause. While we are all very proud of all of the staff that shaved their heads today, we are especially proud of Mrs Mudgway. Thanks for sharing your crazy hair day photos. It is awesome that you are raising money for such a special cause - Shave for Cure. One of my very special friends is having her hair shaved this week at school for the same cause. I think it takes a very brave person to do this so I can see why you are so proud of Mrs Mudgway and your other teachers too. Congratulations on raising over $600. Had you heard of the Save for Cure charity before? Hi its me Sahar. Mr lyons, Mr GreenField and Miss Mudgeway you Were really brave to do that! And Mr Folder Sorry i forgot u. Check out our Green Week is Sea Week work.